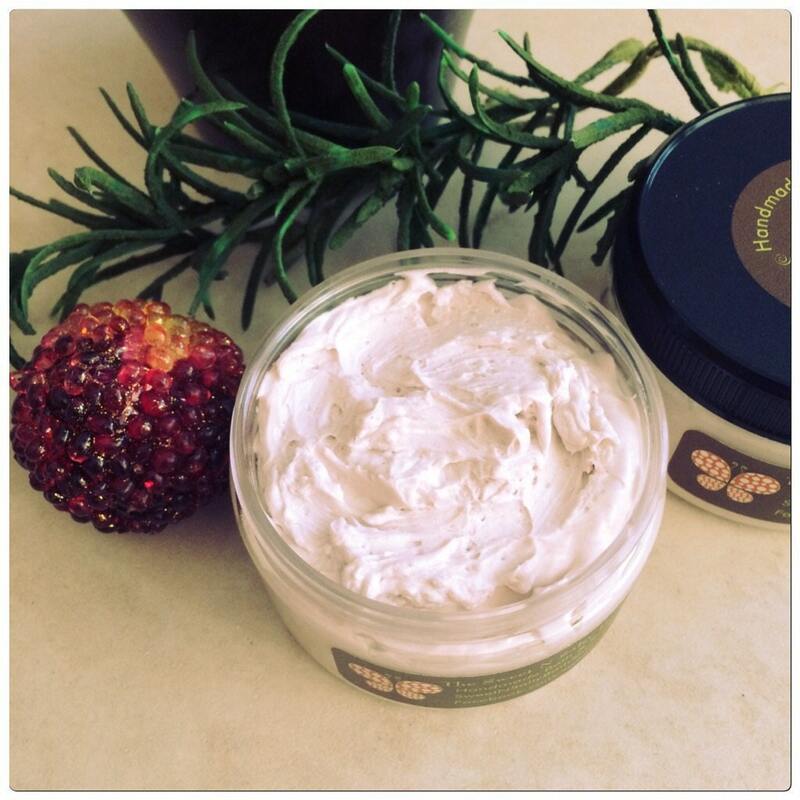 This luxurious and creamy body butter is a wonderful treatment for dry skin. Made with high quality ingredients, this butter is great for maintaining healthy skin as well, leaving a non greasy, silky smooth finish. 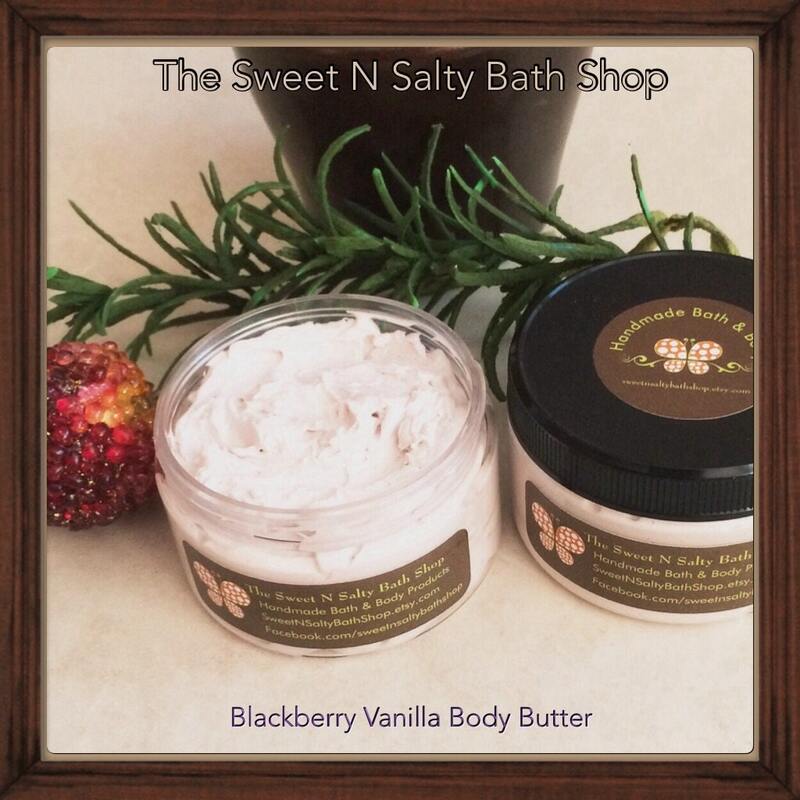 Scented with sweet blackberry and creamy vanilla fragrance oil, this body butter makes a great fall/winter gift. Each jar is wrapped in a cello bag, labeled and tied with a ribbon bow. Includes a spatula for easy application. To use: Rub a small amount of body butter onto dry skin. The creamy butter will turn into oil as it is absorbed into skin. Remember, a little goes a long way! 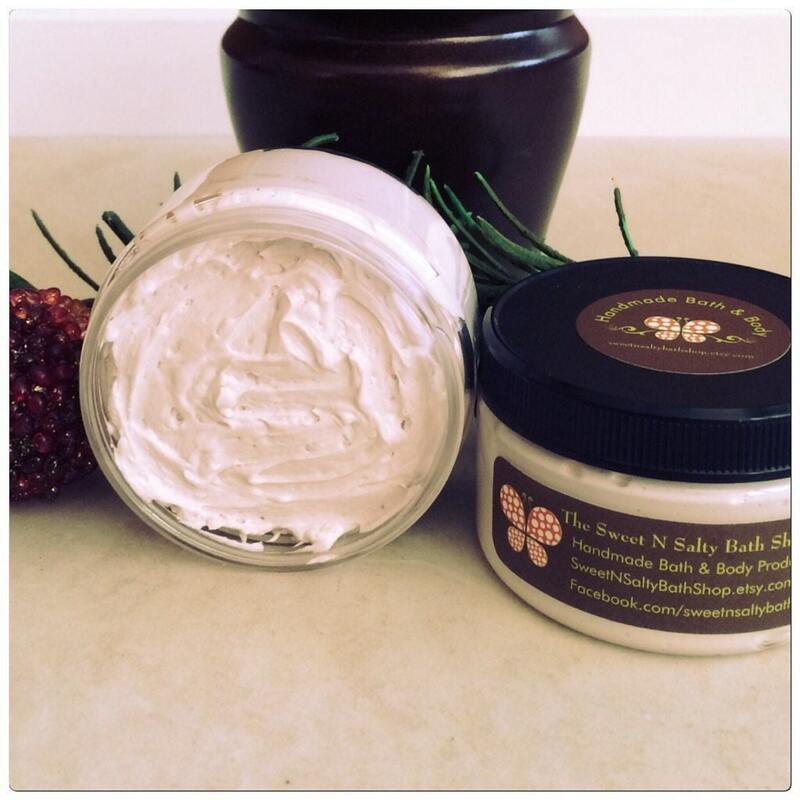 Cocoa Butter-the natural make-up of nutrients and fatty acids penetrate further than just the top layer of skin, really moisturizing and nourishing deep down in the skin. 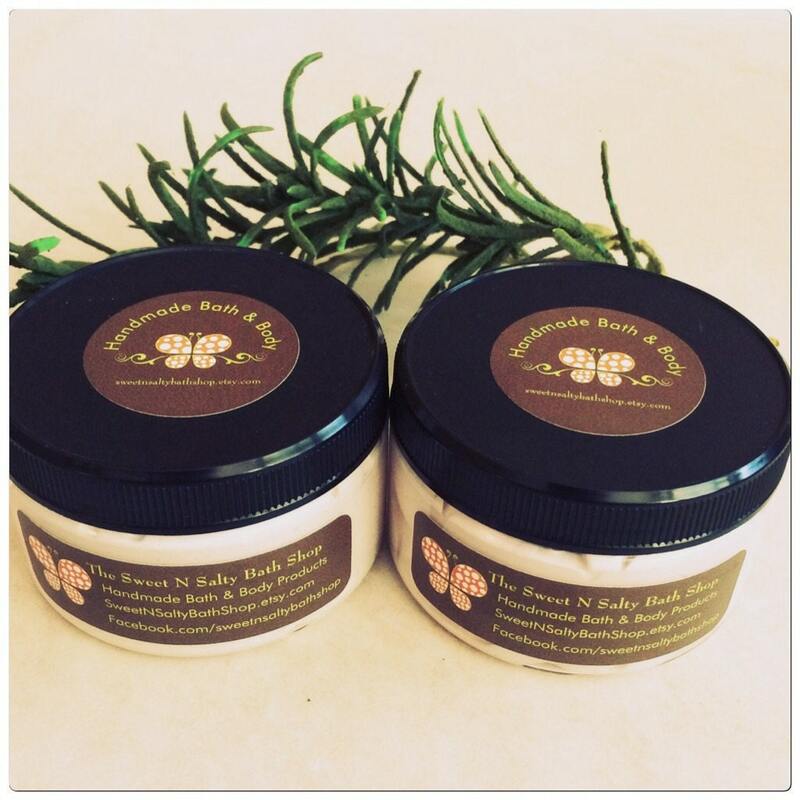 Shea Butter-full of nutrients, including vitamin A which has been known to aid in treating dry skin conditions and stretch marks. Avocado Oil-rich in antioxidants such as vitamins A, D and E which is therapeutic for dry skin. It contains lecithin and potassium which are highly beneficial for skin. Vitamin E oil-promotes healing of dry, stretched skin. It is a strong antioxidant that prevents aging.